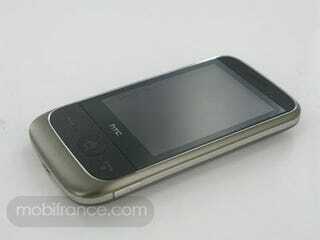 Is This Verizon&apos;s Android 2.0 Version of the HTC HD2? Is it running Windows Mobile 6.5, Android, or another platform? Engadget is pointing at the lack of buttons as being a telltale sign it's running a "homegrown" OS, but we're rather interested in the addition of the ExtUSB port, considering HTC was meant to be pursuing the microUSB connection. UPDATE: Word reaches us that it's running Qualcomm's BrewMP platform, and has a 2-megapixel camera (lame), 3G and Bluetooth, but no Wi-Fi.